Daily Urbanista Is Headed To Malta! We have a bit of exciting news to share! The Malta Tourism Authority has organized an awesome project called Blog Island: #MaltaIsMore. This project is bringing together over 70 bloggers from all around the world to visit Malta and share their experiences. Session 1 took place earlier this year, and Session 2 started on September 15th. Every week, a new group of bloggers will visit the island! Oh, and did we mention that we’ve been selected to participate?! From October 20th – 25th, I’ll be staying in a on the island of Gozo with several other bloggers and sharing my experiences with you! Needless to say, the next few weeks can’t go by fast enough. I’ve had so much fun checking out the tweets and gorgeous pictures that are being shared by the first few rounds of bloggers, and it’s made me even more excited to visit. The Republic of Malta is located on the beautiful Mediterranean Sea, just south of Sicily and east of Tunisia. 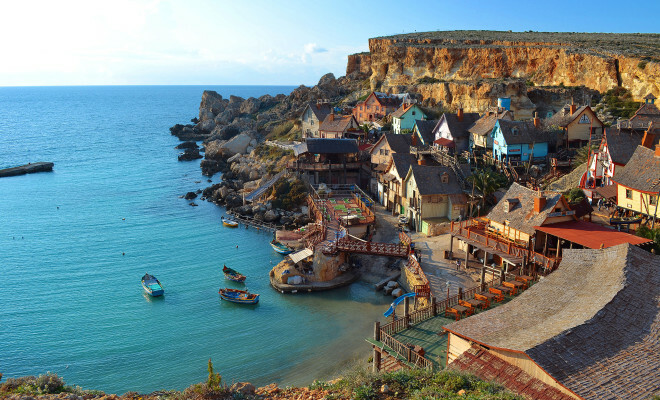 There are three inhabited islands – Malta, Comino, and Gozo (where I’ll be staying) and a handful of uninhabited islands. Malta has two official languages – Maltese and English. I’ll be sharing more about Malta over the coming weeks, so stay tuned! In the mean time, I highly encourage you to follow the #MaltaIsMore hashtag on Twitter and Instagram for some amazing photographs, and learn more about this amazing country by checking out VisitMalta.com and following the Malta Tourism Authority on Facebook, Instagram, Pinterest, and @VisitMalta on Twitter .